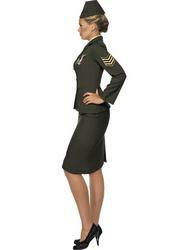 Turn yourself into a military beauty with this fantastic Wartime officer fancy dress costume. The costume contains everything for turning yourself into a Wartime officer and comprises of a long, green coloured skirt and a matching jacket decorated in medals and military stripes with attached shirt and tie front. The costume is completed with a matching green coloured military hat. 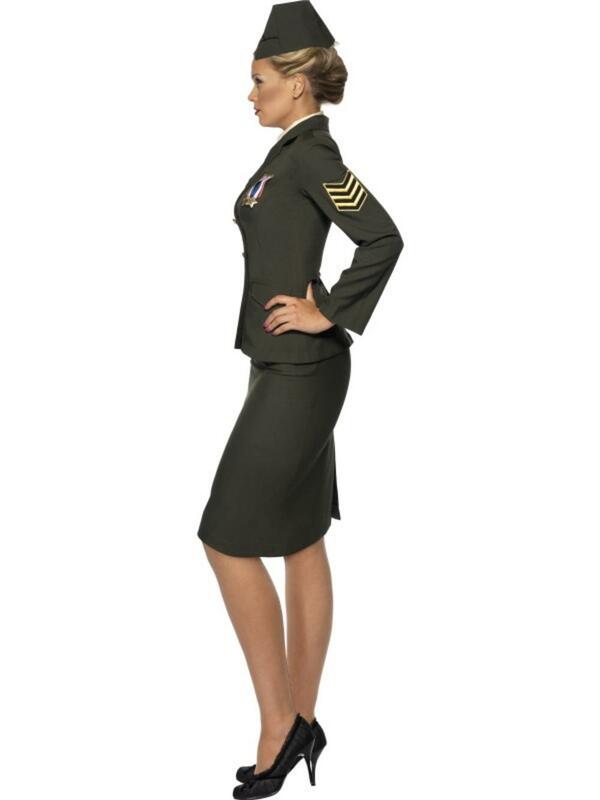 You'll be the hottest officer in any army when you wear this fabulous costume! 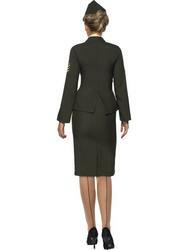 Perfect for any fancy dress party and particularly popular for military or WW2 themed events.